05.20.12 - "Ring of Fire" Solar Eclipse - The Sun Today with C. Alex Young, Ph.D.
During the annular eclipse the Moon will travel in front of the Sun blocking most of its light—except for what looks like a 'Ring of Fire' around the Moon's edge. During the annular eclipse the Moon will travel in front of the Sun blocking most of its light—except for what looks like a ‘Ring of Fire’ around the Moon’s edge. A solar eclipse is when the Moon lines up between Earth and the Sun such that the Moon either partially or completely blocks out the Sun. When the Sun is completely blocked out we called it a total solar eclipse, and often this is what people think of with an eclipse. But a partial eclipse can be just as exciting. When the Moon comes just shy of completely blocking out the Sun a bright ring or annulus is visible. 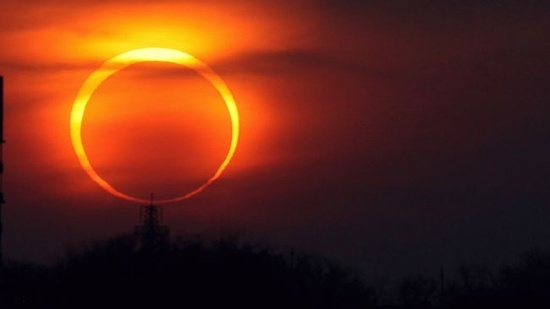 This is a special kind of partial eclipse, an annular eclipse. The annular eclipse of May 20, 2012 is the first annular eclipse visible from the contiguous United States in almost 18 years. 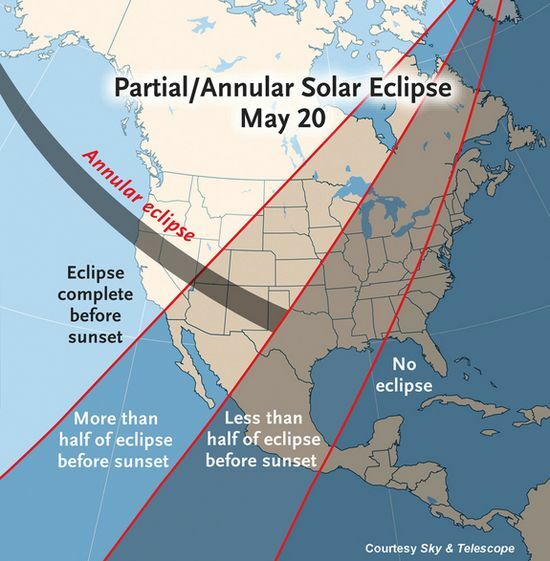 The eclipse will be visible in a narrow path with the Moon’s shadow traveling across the Northern Hemisphere. The shadow begins in East Asia, crossing the Pacific Ocean and end in the western United States. 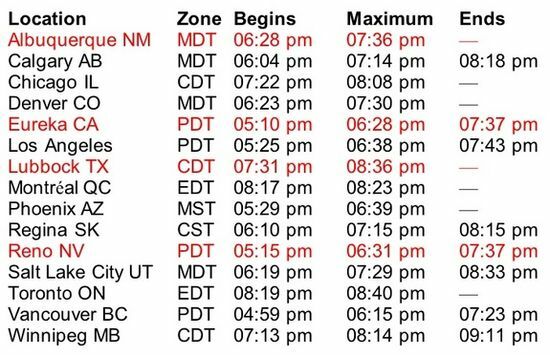 Those in the US can observe the eclipse starting in the late afternoon local time. Those in the Eastern-most viewing area in Lubbock, Texas will see the eclipse right at sunset, which should create incredible opportunities for photographers. The Sun Today has created this mini guide to viewing, and we’ll be posting our favorite images if you miss it live. If you are lucky enough to see it in-person, please share your image on our Facebook Page or email them to me at alex@thesuntoday.org with your credits and I’ll share to our community. If you miss it, check back for our favorite photos on our website, Facebook Page and Pinterest board! ShadowandSubstance.com has created an Animated Eclipse Map that shows what it will look like from various locations. Credit: Karl Tate, SPACE.com Contributor – How Solar Eclipses Work: When the moon covers up the sun, skywatchers delight in the opportunity to see a rare spectacle.